Recently started showing his Fender deluxe on songs like The Mexican, What a life or Listen up. As can be seen at his official Instagram account (about making some music) you can see him using this item in the picture / video. 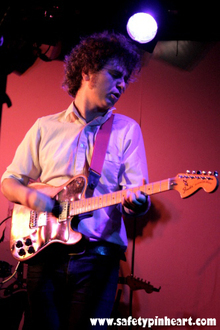 In this photo from 2009 Toby can be seen playing a Fender Telecaster Deluxe. 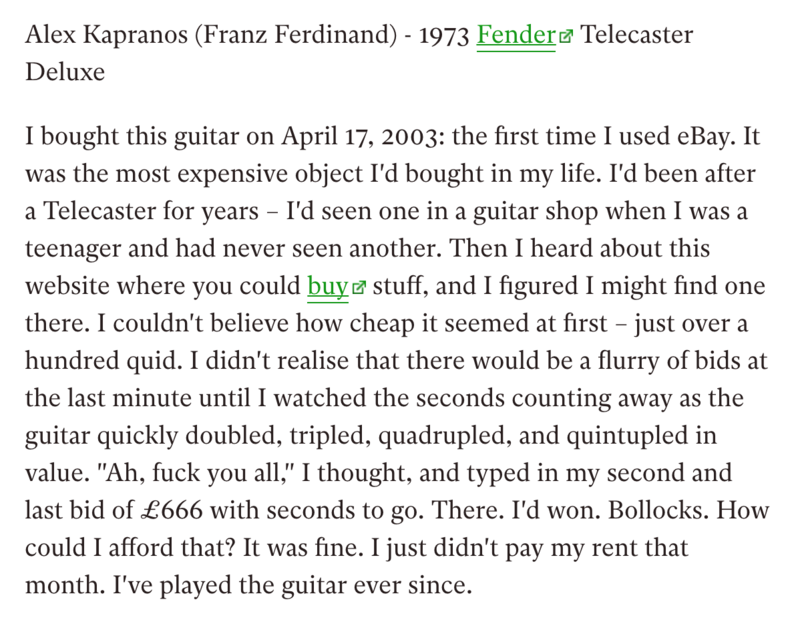 Gaz Coombes has used a Fender Telecaster Deluxe, according to [this article](http://www.burnsguitars.com/article14.php), which says, "Gaz Coombes has used a wide variety of guitars during his career, including a Burns Custom Legend, Fender Telecaster Deluxe and Telecaster Plus, and Gibson ES-335s, Les Pauls and SGs." In this interview, Scott Kannberg says "I play a 1972 Fender Tele Deluxe and a 1966 Fender Jazz Master.". Both guitars can be seen in a picture attached to the interview. My favorite guitar is my old tele deluxe. It almost always sounds perfect for everything! El Flaco Spineta playing a Telecaster guitar. This guitar has been my workhorse for the past 6 years. After some slight modifications, it's the perfect tool for on stage and studio work. The standard pickups are not as hot as I'm used to but over time I have grown to appreciate it. With its excellent build quality and its reliable nature, I would recommend this guitar to anyone looking for a versatile workhorse. The oversized head is a bonus.